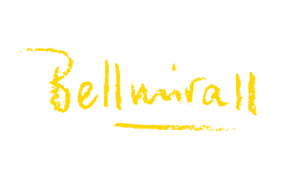 The Bellmirall is run by people with varied training and professional backgrounds, thus providing a range of expertise. Our aim is not just to welcome visitors from outside, but also to provide a meeting space for our local community in Girona. We are constantly on the look out for links to other companies and people with this aim in mind. Anna is an economist and has always worked in business. 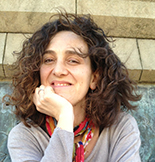 Gisela studied philosophy and documentation and has worked in libraries and event organisation. We are united in our wish to take up the reins of this unique place and bring our expertise and skills to bear to conserve its legacy and to take it forward. We are spurred on by love for our city and our country. On reception you are as likely to find Magda or Helena and even Gisela and Anna from time to time. Antonio keeps the rooms clean and neat and any time its needed Francesc takes care of the maintenance of facilities. Being such a small business we are all able to turn our hands to whatever is neede and help guests whatever the query. We believe that tourism, culture and heritage preservation have in this house a special meeting space and our desire is to offer it from the simplicity and authenticity that emanated from the couple that founded the property. This house promotes a tourism model profoundly respectful with the historic town, its culture and the environment and we feel very proud of it.